IPCC on acid – if they are virtually certain about ocean acidification, why does X-prize offer a reward for designing a proper ocean pH meter? | Watts Up With That? Meanwhile, while the IPCC is “virtually certain” a call goes out via the X-prize to design a pH meter actually capable of monitoring the projected change. The X Prize Foundation announced a $2 million competition September 9th to spur innovation in the equipment used to measure “ocean acidification”. Here is the announcement. Note what I highlighted in red. Breakthrough sensors are urgently needed for scientists, managers and industry to turn the tide on ocean acidification and begin healing our oceans. A competition to incentivize the creation of these sensors for the study and monitoring of ocean acidification’s impact on marine ecosystems and ocean health will drive industry forward by providing the data needed to take action and produce results. Making a broad impact—one that reaches far beyond new sensing technologies—is critical to the success of the prize. It begins with a breakthrough pH sensor that will catalyze our ability to measure—and thus respond to—ocean acidification. “It is only in the last decade where scientists have begun to study ocean acidification, so our knowledge is really limited still,” Paul Bunje, a senior director with the X Prize Foundation who is the lead scientist behind the ocean health competition, told NBC News. “But we do know that we don’t know enough, and we don’t have the tools needed to even begin to measure it sufficiently — much less to begin to respond, to adapt to it, to implement local policies that might allow ocean acidification to be less harmful,” he said. The open ocean is acidifying at about .02 pH units per decade, according to according to Richard Feeley, a marine scientist and leading researcher on ocean acidification at NOAA’s Pacific Marine Environmental Laboratory in Seattle. “That means that you have to have an instrument that you can rely on to be both precise and accurate for a very, very long period of time, so that you can actually see that signal,” he told NBC News. So, are the IPCC models based on uncertain measurements and an assumed trend? It sure seems so. It’s like a bad acid trip. Shifting the goalposts again. “Well, gosh, we were wrong about CO2 causing global warming. But CO2 does cause ocean acidification. So we still need to tax carbon and de-industrialize the world.” This is part of step-down from AGW while at the same time maintaining the same goals. Notice the same imprecise scare language: “silent crisis”, “profound impact”, “healing our oceans”. I find their logic fun. To use it in a slightly different example, when a cup of water changes in temperature from 90 degrees to 85 degrees, it is freezing. It is not frozen (as the deniers would point out), but it is freezing. Just as the are sure heat went in deep ocean even it is very frustrating they can t mesasurere it yet. I am not certain we agree on the meaning of being certain. Even if the Ph decrease was real isn’t there a big difference, since it’s a log scale, between 0.065 and 0.1? “While ocean acidification is well documented in a few temperate ocean waters,…” Is it? Where? And is the measurement a real signal or buried in noise and they hope it’s real? I’ve said it before and I’ll say it again, it’s not Acidification it’s Neutralization, its go to go past ph7 first! So I take it Arctic Ice research fund spigots got frozen in the ice? Another hoax by manipulation of emotions and exaggeration. Frankly it is dangerous because it detracts from very real problems caused by runoff, chemical bleaching, erosion and herbicides. Feely is the Hansen of ocean acidification, and has published some seriously misleading stuff. A post will be up sometime over at Judy’s. Been accepted. For him to make this admission is huge. And surface pH is not the whole story, not is PMEL’s site north of Mauna Loa necessarily representative. It was chosen because it is relatively biologically barren, so has little seasonal variation. By contrast, NOAA and the Nation Park service report the pH in thriving Florida Bay ( between the mouth of the Everglades and Key West) ranges from a low of 5.8 in winter to a high of 9.8 on sunny summer days. Estuaries vary seasonally by a pH of 1 from around 7.4 to 8.4 ( specifically citing the Elkhorn Slough on Monterey Bay, California. The IPCC 7.8 projection is a linear extrapolation from Henry’s law. But ocean pH doesn’t only follow Henry’s law. There are major biological nonlinear feedbacks, as Florida Bay and Elkhorn Slough illustrate. Well, to be fair, it’s REALLY hard to get people to give you 2 million dollars if you tell them you’re just curious and it’d really help you finish your thesis. It’s another hoax, quite frankly they’re just playing games, this isn’t science. This is one of my greatest bugbears. When will somebody stand up and say that slightly less alkalinity does not in any way, shape or form equate to acidification? What you measure in PH in on part of the ocean maybe different from one a few miles away. Some parts of the world have co2 bubbling through coral with fish swimming around in a rather blasé fashion. Which theory of acids/bases does the IPCC prefer? The Arrhenius theory, the Bronsted-Lowry theory, or the Lewis theory? I’m submitting a computer model to the X Prize Foundation. I will accept a cashier’s cheque, money order, bitcoin or cash. An infant fresh from the womb is becoming geriatric by age 5. An apple freshly picked from the tree is becoming rotten seconds later. Both true. And both utterly stupid statements to make. Yet we give scientists a pass on this kind of semantic crap? I think the X prize announcement is cheering news. Every time sensor spatial-temporal coverage is improved, the concomitant climate catastrophe seems to vanish in a cloud of blue steam. Argo is a perfect example. If a low cost, stable, accurate, reliable pH sensor for ocean water can be developed that requires little or no maintenance (I think this highly unlikely, given the extreme environment of the ocean), then the ocean pH scare will drop off the climateer’s list of talking points. It should be fairly easy to design an inexpensive meter with internal clock/calendar and non-volatile memory that allows us to “see that signal” of precisely .02 pH units per decade. Oceanographers that I have talked with have great difficulty getting stable pH readings largely because there are so many transient factors that affect pH from hour to hour, season to season. H ions can come from many sources and different molecules act as buffers. Changes in productivity, evaporation, rainfall and river outflow change the H+ concentrations. There is a sharp pH gradient in the vertical profile. Changes in upwelling of deep waters dramatically alter local pH in many ways in addition to mixing the vertical concentrations. Upwelling brings nutrients to the surface allow burst of productivity and photosynthesis that absorbs CO2, followed by zooplankton respiration increases that release CO2. Upwelling brings up ancient carbon. UPwelling is greatly affected by cycles such as El Nino and Pacific Decadal Oscillation There are so many confounding factors affecting pH, reliable estimates will be far more difficult than measuring temperature. Breakthrough sensors are urgently needed for scientists, managers and industry to turn the tide on ocean acidification and begin healing our oceans. (a) Do we know “our oceans” need “healing”? (b) Do we lack instruments to discern if the oceans need to be “healed”? Been hearing about that alarming “30% increase in ocean acidity” for several years now. Maybe this new meter will finally help them come up with a more alarming number. “This is one of my greatest bugbears” also. Do these clowns understand buffers? Clearly they don’t. Buffers are part of hard science and seawater is a massive, complex and naturally buffered system. I suspect I also referred them to the opening chapters of K.B. Krauskopf’s “Principles of Geochemistry”. the pH has not changed…. Hey, this is great. I’m going to create a new trillion dollar market in hydrogen ion offsets. The income will be more than sufficient to feed the world’s poor, cure cancer, and save the universe. As seawater is a complex buffer system, it’s pH is quite difficult to alter, particularly by a weak acid such as the carbonic acid produced when CO2 dissolves in water. The Earth has had much higher CO2 during most of its history of life on Earth and life thrived during this entire time. This is more BS and propaganda. Ocean pH has done nothing unusual and remains inside its normal range. Yes indeed, the science of propanda is well developed these days.Who were the masters of that in recent times? Well Goebells is up there for an award – that’s right, the Nazis. But they got defeated, right? Yeah, right. It must be hard for the IPCC to come with new scary scenarios resulting from too much atmospheric CO2. I can come with one though as their last resort. Here is just the heading, it is up to the IPCC staff to fill in the rest: Scientists Found Correlation Between Man-made Co2 and SIDS. Just out of curiosity, has anyone measured the pH of the ocean waters in the vicinity of volcanic vents? The so-called noble cause corruption is prevalent now that it will not be surprising if the sensor is actually not working, but is accepted because it yields the ‘right’ results. The Monterey Bay aquarium in Northern California uses an ocean intake pipe instead of biological filters to provide fresh sea water. Over the past 18 years, the ocean pH has been measured at the intake as the water enters the aquarium. The deviation is far less than the intra-day change in ocean pH. In other words, the pH change between 6 am and 6 pm is far greater than any year to year changes, which naturally fluctuate over time. Furthermore, there are no reliable ocean pH measurements that go back more than a few decades, and those measurements are only taken at a few seleccted spots. Global ocean pH may have been much different in the past — we just don’t know, except within very wide error bands. 5. Criticisms are met by ad hoc excuses thought up on the spur of the moment. Get ready for the “Say Anything” crowd to come up with instant, ad-hoc excuses to explain something they cannot even reliably measure. But aren’t the oceans getting warmer, and doesn’t warmer water hold less CO2? There was a time when man looked at the world and didn’t understand what was happening. He didn’t understand why some years the rains were timely and the temperatures mild, leading to a great harvest. Other years brought cold, wet weather or a long, hot dry spell. The crops would fail and people would go hungry and fall ill. Man felt helpless against such power and change. He reasoned that there must be powerful beings that controlled these things, so he created stories of such beings and called them gods. He created them to explain all things; seen and unseen, known and unknown. His gods had dominion over all lands, the great oceans and the turbulent atmosphere. While man was still powerless in reality and ignorant in the extreme, he developed his own illusion of control by praying to his gods, offering sacrifices and building great shrines that blighted the landscape. He gave his gods such names as Carbon Mitigation and Renewable Energy. So … Having no real Ocean pH data for 2013, we can always make it up … all the way back to pre-industrial times. After all we can guestimate SST back then, we can then ‘homogenise’ surface station data to match, we can ‘disappear’ energy into the deep Ocean conveniently just beyond sensor range and the Mann made cherry trees will always sing any tune we ask of them. Err … Is there some kind of doom laden report, lacking actual physical evidence, due out soon? Are the faithful getting so desperate that they are already trying to figure out what might work next? Well we can always SWAG Ocean pH in 1860 – it will be ‘good’ pH and now we have ‘bad’ pH and in the future we will have ‘doom’ pH. Much as I love computers, some people should be legally barred from operating them. That is true, Rich, and in fact, according to Jim Hansen, the oceans must be almost boiling by now. If a new, widely used, widely dispersed, accurate measurement tool becomes available – then something new will be learned. Just as the “increase in tornadoes” is a result of being able to record events that previously went unnoticed, such measurement technology would lead to a skewed and false perception. Especially in light of the fact that this is an answer in search of a proof – not a question in search of an answer. Yes, according to Henry’s Law. Seawater has been much less alkaline than now in the past. Also more so. But the oceans, like the atmosphere, is homeostatic. If CACA activists really believe that rising CO2 will create a stormier world, then the almost unmeasurable reduction in alkalinity they claim is occurring will be solved by more alkaline materials washing into the seas. If I understand alarmists’ faith correctly, which I might not, their belief is that even if CO2 is coming out of solution in human-warmed oceans (according to them a very minor source compared to man-made “pollutants”), the gas lost comes from deeper levels. It’s the near-surface waters which concern them, where supposedly higher concentrations of CO2 from the air mix with these upper levels. But a CACA cultist should explain how this is supposed to work, not I. “…Making a broad impact—one that reaches far beyond* new sensing technologies—is critical to the success** of the prize. It begins with a breakthrough pH sensor that will catalyze*** our ability to measure****—and thus respond***** to—ocean acidification. * We don’t want sensing technology; we want something far beyond it, hint-hint. ** If you want to win the prize, you’d better give us something that will let us make that “broad impact”, get it? Wink-Wink, nudge-nudge. *** “Catalyzing” is what we’re after, not measurement. Are you with us? **** In other words, you’d jolly well better give us the ability to get the measurements we want. ***** Read our lips: If your bloody instrument doesn’t give us a cudgel to let us pretend we need to respond to something, you might as well stuff it. …why does X-prize offer a reward for designing a proper ocean pH meter? They should STFU – the science is settled! Even if the XPrize competition produces a very good and cheap pH meter, dbstealey notes that we have very little good historical data to compare it to. Climate and thus environmental effects require many decades of data to resolve the issues. The oceans are biological habitats. As Jim Steele notes and the Monterey Aquarium data confirms, the variations are probably going to be very large and it will take us a while to figure out what all that means – even with a meter than can be dispersed all over the globe and that produces solid results. Say on the next generation of Argo buoys? Wait, So the acid we can’t measure is missing? The cultists fail at physics, geology, meteorology, and history so it is no surprise that they fail miserably at chemistry. It is very likely that oceanic uptake of anthropogenic CO2 results in acidification of the ocean. Let’s see, we are told that anthro CO2 amounts to about 3% of all annual CO2 yet somehow the oceans of the world are able to determine which CO2 is anthro and which is “natural” and, presumably, only use the 3% anthro CO2 to nudge the pH scale towards very slightly less basic? How’s that work? Directions: (1) Attach cable, (2) drop in ocean, (3) pretend to take readings. They can put down any numbers they want, without all the usual nouveau statistical methods crap. Argo was touted by the AGW believers to be the gold standard for ocean temperatures and heat content measurements. Then, when the ARGO data failed to support the AGW apoclayptic scenario, ARGO was shuffled offstage and ignored in favor of ‘missing heat’ and more models and scenarios. The same thing will happen with the great ocean acidification scare: For the AGw believer, a lack of supporting evidence has never been a cause to reconsider. as with the IPCC and the unexpected ‘pause’ in world temperatures, the lack of evidence is reason to yell louder and insult the skeptics all the more. A bit like surface temperature measurements, then. Freshwater ecosystems do not contain an iota of buffering capacity that the oceans have but the cult has seemingly forgot to include them in their fantasies of doom. If the ocean’s pH has dropped by 0.1 and is already “having a profound effect on shellfish” then freshwater shellfish should have been dead yesterday, Whoops! Perhaps they can find some evidence for their hypothesis and it will have the patina of genuine grassroots movement, rather than a big expensive NGO program, to boot. Neat technique. • Winning video will be shown at IEEE SmartGridComm, where the winner will receive $500. I have heard about the concern over “ocean assification” from the former PM of Australia, Julia Gillard. Has anyone started a contest to see if this “assification” has gotten into the drinking water in detectable amounts? Which populations are hardest hit by assification? If the journalists were not the pires putains du monde the IPCC could not exist today. Ocean acidification will be the last hope of this crowd, so be sure to watch for a flurry of reports, data etc. in coming weeks & months. I actually do think there is some data to support the concept, but the white noise generated from dying polar bears, killer hurricanes etc. has overwhelmed any interest in the subject. It’s a pity that a potentially valid scientific issue has to become a volley ball in this squalid fight. ‘acidification ‘ nice useful word , sounds scary means nothing , so you can see why the IPCC love it. Sadly, yes. However, that is not the entire tale. I’ve applied for an NSF grant and I can guarantee you, they were not helpful about it in any way. And the size of the grant is also an influence. You might apply for a small amount – say five thousand dollars – to do geological dating or radiocarbon work which you plan to publish. It’s regionally and scientifically useful information IF you can pay for it. Otherwise the discipline may wait another twenty years. Almost certainly that 5K request will not be granted. But ask for five million, bury the simple purpose in fluffy PC drivel, and there’s a much better chance of getting the grant. Remember, you couldn’t afford 5K out of pocket, but your regionally useful work is not funded. Dress it up, put some lipstick and perfume on it, fluff the research out in some improbable fashion (still the same pig) and instead of mortgaging the house for the dating work, you have to figure out just how to allocate that five million so that they won’t ask for it back. You absolutely have to express the “purpose” of the research in language the reviewer will “comprehend.” That means you either develop a very high grade of BS emitter, or choose a subfield where you don’t have to deal with bureaucrats – much. In keeping saltwater aquariums, the basic understanding is that there is a pH ceiling of 8.3, after which CaCO3 precipitates out of solution. It’s also understood that pH alone doesn’t tell you much without also knowing the total alkalinity of a system. It would be interesting to review the Royal Navy field data for total alkalinity over the past two centuries. any time you question any of these people on ocean “acidification” (it is not acidification,its a lowering or fluctuating ph level) the standard reply is the literature is peer reviewed. i will apologise to the scientists who contribute to this site with an open mind ,but the following statement applies to science in general.your peer review process stinks,it is corrupt and full of cronyism. i and many others care for it not. if ALL scientists want to maintain ANY credibility when the cAGW hoax finally collapses ,you ALL need to get your house in order. the answer ” its peer reviewed ” will not wash in ANY arena anymore. all it means is a group ,usually associated in some form or another agrees on another person or groups hypothesis or theory. It seems to me that every time they move the goal posts, we should respond by saying “so the science is NOT settled.” When the IPCC comes out with their 95% certain statement, we should write up all of the moving goalposts and ask which of the goalposts are they certain about and which are not covered by their statement. Yes, pH is hard to measure, because H+ is present in such small quantity. But it’s also not what really matters. The key issue is that a chain of reactions leads to conversion of carbonate to bicarbonate, and that makes calcium carbonate more likely to dissolve. What oceanographers have done for many years is measure two indicators – dissolved inorganic carbon (total C in CO2, HCO3- and CO3–) and total alkalinity (basically, result of titration). The measurements are more reliable, because the concentrations are much higher and the measurand is stable. Once you know those, pH and anything else you want to know can be worked out by well known equilibrium laws. I’ve made an active gadget to show how this works. You can see how, when CO2 is added, pH, CO3– concentration etc all change in sequence. pH is just a symptom of the real problem. The renewed focus on pH measurement is mainly for installing continuous monitoring equipment, which is possible with new solid state methods. It isn’t more reliable than the old methods (DIC and TA), but avoids lab analysis. Time for a law suit. The claim, criminal conspiracy against humanity and the destruction of the economies of the West. How do those two statements equate? If both “dissolved inorganic carbon” and “total alkalinity” need to be known then how does knowing pH alone avoid lab. analysis to determine alteration of the carbonate buffer? Assidification of the IPCC report? Coral reefs around the world are doing just fine. If sea level rise were ever to accelerate, which it hasn’t, corals & their symbiont algae would thrive. In the few areas of the global ocean that might actually be showing measurable warming, corals seem so far to like it. If it ever were to get too hot for them someplace, they’ll migrate during their motile larval phase. Yes, it is. The point of buffering is that the pH remains fairly stable as other things change. In particular, the solubility of calcium carbonate. The bloodstream is similarly buffered. Bicarbonate keeps the pH between about 7.35 and 7.45. Below 7.35 you have a problem called acidosis (yes, at pH>7). At the (harmless, neutral) pH of 7, you’re dead. The reason isn’t H+ ions. It is that they indicate that your circulation can no longer perform a fundamental task – picking up CO2 from the cells and releasing it in the lungs. It can release just fine, but can’t pick up. This is analogous to what happens in the sea. pH shift indicates a shift in carbon species solubility. I’ve written about the chemistry here. It is becoming fashionable to assume the missing heat went into the deep ocean and is hiding there. Unfortunately, Houston, we have a problem with that. There is no other way to accomplish such a feat than assuming a much higher rate of deep turbulent mixing than it was previously thought. However, in this case dissolved CO₂ gets mixed down as well, that is, its concentration in seawater can only increase much slower, because it has to play against all the carbon dioxide already dissolved from surface to bottom, at least 50 times more than we have in the atmosphere. You simply can’t have it both ways. If there is an energy imbalance indeed, well hidden from plain sight by mechanically driven ocean processes, rather than a slight increase in SW albedo or decrease in fractal dimension of water vapor distribution, then ocean acidification is not a problem. Those guys are shooting themselves in the foot again, I think. You need to know two things, and then the equilibrium relations will let you work out the rest, as I’ve tried to illustrate with the gadget. pH will give you one. They can use dissolved inorganic carbon as the other – it is relatively non-varying, being a total mass measure. DIC measurements would still be needed, but not as frequently (in space or time). on 15th August I posted. Is Richard Feely a real name? It sounds like something that would give the South Park classroom the giggles. Thankyou for your answer at September 25, 2013 at 12:23 pm to my request for clarification at September 25, 2013 at 12:05 pm. DIC measurements would still be needed, but not as frequently (in space or time). Yes! And that was my point. Such monitoring equipment would NOT remove the need for lab. analysis. And it would NOT reduce the need for dissolved inorganic carbon (DIC) measurements. Continuous pH monitoring would enable interpolation of data between times when the samples for DIC determinations were made at a measurement site so the lab. measurements could be conducted on the samples. And that interpolation would be based on pH data containing such large diurnal variability that the interpolated data would be open to almost any desired result by selection of the statistical method applied to the data. And they do it 24 hours a day for YEARS on end! Not to mention that the particulate matter would remain in the water (unable to “cool the atmosphere” like a surface volcano’s particulates would) but the CO2 would rise and outgass quickly due to the temperatures of the water coming out of these things! AND the CO2 signature from “burning fossil fuels” is IDENTICAL to the fingerprint of CO2 that comes from burning magma in the oceans. Fossil fuel doesn’t care how it gets burned, by your car or by the molten layer under the earth’s crust-it’s exactly the same signature. Research is VERY limited and the “estimates” that the experts supposedly use to declare that their impact on our climate is “minimal” is laughable AND outdated. NOAA’s own website shows a current map with over 500 hydrothermal fields on it! There are even “lakes” of liquid CO2 on the ocean floor for crying out loud. If all of this is true, the CO2 problem is solved and it has nothing to do with Human beings! It isn’t climate science, it’s oceanography. Your objection is a silly one. What I said is simply true – solid state pH sensors avoid the need for lab analysis, if you want to know pH. If you want to know the whole picture, you will need other information. It’s not a situation that I invented – I’m just describing what people actually do, and why. There I was – reading through the comments and wondering why some warmista hadn’t commented and thinking, ‘they don’t have a leg to stand on’ – and then up pops Nick Stokes with a load of arm waving and does not acknowledge the primary problem .i.e – if we can’t measure the ocean pH – how the feck do we know it is ‘wrong’ or indeed ‘changing’. The ocean acidification problem is another false scare tactic. Measuring ocean pH is almost impossible without gazillions of readings – a bit like the atmospheric temperature? – and even if they got a gadget and started to get proper fmeasurements, I’m sure they would require adjustments – again, just like atmospheric temperature readings! LOL! Idiots, to a Mann ! I am replying to your evasion at September 25, 2013 at 1:03 pm. No, it is not true that you are “just describing what people actually do, and why”. You are supporting the ‘goal post moving’ from the failing AGW-scare to the alternative so-called ‘ocean acidification’ scare. It DOES need the lab. analyses despite your repeated protestations to the contrary. I don’t need to spell this out because Phil conveniently provided an explanation – with example – in the link he provided in his post at September 25, 2013 at 12:45 pm. I love the percentage increase in hydrogen ion concentration. I think they should be required to specify, from 0.0000000079M to 0.000000010 M.
I disagree with the objection that this isn’t acidification when your solution is still basic – it’s legitimate to start with the pH of your buffer system before you start perturbing it, rather than that of neutral water, which oceans aren’t – but I agree that the way it’s presented, the layman would get the impression that the oceans are on the acidic side of neutral, and on their way to being corrosively so. Certainly the red on the map (like a red pH strip) connotes that. If that was intentional, great line! If it was unintentional, great line! “By using an ion microprobe, Christoph Helo, a Ph.D. student in McGill University’s Department of Earth and Planetary Sciences, has discovered very high concentrations of CO2 in droplets of magma trapped within crystals recovered from volcanic ash deposits on Axial Volcano on the Juan de Fuca Ridge, off the coast of Oregon. Really??? CO2 release is “much higher” than previously imagined???? Did anyone adjust the IPCC estimates? agreed. acidifying (or acidification) is the correct word for making ‘less alkaline’ and of course, it sounds much more frightening and alarmist than ‘reduced alkalinity’ ! I bet Bill Clinton could shed some light on the topic. Well put. It’s what I’ve been saying. SeaFETS are increasingly popular commercial devices – they tell you something useful, and need no lab analysis. But there is a lot of other information that can be used. Article talks about the “corrosive waters” from the deep. It’s a pity they don’t mention the actual pH. If it’s “acidifiying” i.e. pH going down towards 7 it becomes LESS corrosive. We will have much fun with journalists when they continue to write like that. Good thing is, before they actually learn anything they give up frustrated and become compensated commenters in the pay of a warmist foundation. So you’re saying the X-Prize makes no sense because it has already been invented? This reference also includes borate buffering in addition to the carbonate and bicarbonate buffering that are customarily used to describe seawater buffering. borate buffering accounts for 30% of the global buffering effect in seawater. I don’t have a view on the value of the X-Prize. But SeaFETs were a breakthrough be cause they reduce the need for frequent calibration. You can run them for months, but not years. An ARGO might need more. And I’m sure their accuracy is not beyond improvement. Your obfuscations are getting tiresome. But, as the post from Kev-in-Uk (at September 25, 2013 at 1:11 pm) shows, they are not misleading everybody. However, they may be misleading some, so I will answer your point at September 25, 2013 at 1:52 pm and leave it at that. It is a trivial matter to obtain the pH of the sample when conducting the other lab. measurements. And, as I said, you are wrong when you say continuous monitoring of pH would remove the need for lab, measurements. It would NOT remove the need for the other measurements, and the trivial measurement procedure to determine pH of analysed samples would be a proper additional measurement for assessment of the calibration of the in situ pH monitor. So, as I said, the advantage of continuous pH monitoring would be to enable interpolation between sample times. However, such interpolation may be very misleading for the reasons clearly explained in the link provided by Phil; i.e. I hope you’re aware that titles can’t be copyrighted. Hence you couldn’t dispute his right to use it in any meaningful way. Is Richard Feely a real name? Of course, that is only from a few fixed stations and some regular cruises over the past decades. Thus there is a lack of coverage. The X-prize is for who can invent a continuous pH measurement which can be installed on commercial vessels without any maintenance during months. Similar equipment is already used for continuous measurements of pCO2 on board of commercial ships and their own platforms. It is good to have your contribution to this thread. I write to comment on one point you make in your post at September 25, 2013 at 2:31 pm. The Iceland example you provide is not of ship-board monitoring but of pH monitoring from a fixed buoy. Ships move so monitoring from them provides yet another variable to be included in the assumptions required to interpret ocean pH variations. Despite the urgency of the ocean acidification problem, there are few available data sets directly documenting its long-term (decadal to interdecadal) rate or its shorter-term (seasonal to interannual) variability. Repeat hydrography has been used to document a decadal increase in the inventory of DIC in the Pacific (8); however, the technique has not yet been applied to the detection of pH changes. Long-term trends in pCO2oce globally have also been documented from large data synthesis efforts (9), but these results do not directly address pH and are confined to the surface layer. 9. Takahashi T, et al. (2009) Climatological mean and decadal change in surface ocean pCO2, and net sea-air CO2 flux over the global oceans. Deep-Sea Res II 56:554–577. A climatological mean distribution for the surface water pCO2 over the global oceans in non-El Niño conditions has been constructed with spatial resolution of 4° (latitude) x 5° (longitude) for a reference year 2000 based upon about 3 million measurements of surface water pCO2 obtained from 1970 to 2007. Multi-year composite maps summarizing the sampling locations and the number of months, in which at least one measurement was made since 1970 in each box, are shown in Figs. 1A and B. The latter map shows that, of a total of 1759 boxes, about 30% of the boxes have measurements spanning 6 or more months, and 50% of the boxes have measurements spanning 3 or less months. While most boxes in the Northern Hemisphere have observations in 6 or more months, many in the Southern Hemisphere oceans south of 20°S have data only in 3 or less months. The Drake Passage areas that are being investigated as part of the Long Term Ecosystem Research (LTER) program along the Antarctic Peninsula are the only southern high-latitude boxes that have 12-month data. In short, the available data for the partial pressure of CO2 (pCO2) is very sparse and consists mostly of data collected from ocean cruises (available here). There is virtually no data collected at stationary calibrated stations that cover multi-year periods. pH data is even sparser. Ocean acidification projections are sort of like trying to predict temperature in the future from data collected during airplane flights. It is almost guaranteed that no data is collected from the same place twice. Another striking seasonal feature is the band of moderate source waters (yellow–orange) located along the northern margins for the Antarctic sea-ice field in the vicinity of 60°S in August. This represents release of CO2 from the high pCO2 under-ice waters (see Fig. 8) along the ice-field edges. In the areas southward of the edge lines, the open water areas are small, hence the sea–air CO2 flux is reduced significantly as indicated by the green areas in Fig. 15B. As the ice field recedes with the arrival of spring, photosynthesis draws down pCO2 below the atmospheric level, and the open water areas become a CO2 sink as shown in the February map (Fig. 15A). Look at the facts. Earth is a warm, wet, greenhouse planet. There has been ice on its surface for less than 20% of its history, and in the geological past there have been six great ice ages. Two ice ages were characterized by ice at the Equator, with sea levels rising by up to 5,000ft. Five of the ice ages saw a far higher atmospheric carbon dioxide content than at present. So carbon dioxide could not have caused past climate changes. Indeed, early Earth had 1,000 times more carbon dioxide in the atmosphere than now – yet there was no runaway “greenhouse effect”, “tipping points” or “acid oceans”. The only “tipping point” we are suffering is the public’s trust in scientists. The initial source of the two main greenhouse gases, water vapor and carbon dioxide, was volcanoes. Water vapor is still the main greenhouse gas. Once oceans formed and life appeared, carbon was then recycled between the oceans, atmosphere, soils, life and rocks. Carbon dioxide is a plant food, not a pollutant. Human activity produces only 3% of the world’s carbon dioxide emissions each year. Carbon dioxide has a short life in the atmosphere and is absorbed by natural processes that have been taking place for billions of years. At the normal past rates of absorption, even if we burned all fossil fuels on Earth, the atmospheric carbon dioxide content would not double. In past ages it has been naturally absorbed into everything from limestone reefs to soil, rocks and living things. For example, limestone is a very common rock and contains 44% carbon dioxide. Dissolving carbon dioxide in ocean water has not created ocean acidity. The constant chemical reactions between ocean water and sediments and rocks on the sea floor have kept the oceans alkaline. When we run out of rocks on the sea floor, then the oceans might become acid — in about 100,000 years. Why is this story contrary to what we hear? Because sensationalism is so much more lucrative. A climate catastrophe was provided for an anxious public by scientists who had everything to gain by frightening us. They put forward an ideology that is blind fundamentalism, unrelated to scientific facts. Politicians build new bureaucracies and pose as environmental saviors without having to face the consequences of their actions. Heads must roll. Meanwhile, the planet will keep changing as it has always done — humans or no humans. The problem with any natural cause of the increase in the atmosphere is that if must mimic the human emissions increase over time in a perfect ratio. Further, if undersea volcanoes are the cause of the increase, the oceans should be a huge source of CO2, but where then are the compensating sinks? The net result of all CO2 fluxes is an increase in the atmosphere of only halve the human emissions in quantity. And vegetation is a proven sink but only for 1 GtC/yr while humans add 8 GtC/yr. AND the CO2 signature from “burning fossil fuels” is IDENTICAL to the fingerprint of CO2 that comes from burning magma in the oceans. That is certainly not true: subduction volcanoes have a δ13C range of 0 to +4 per mil, deep magma volcanoes have a δ13C range of -4 to 0 per mil. The lowest value I have seen was -7 per mil, still above the -8 per mil currently in the atmosphere. Fossil fuels mixed release is at -24 per mil. More volcanic releases thus should increase the δ13C, while we see a firm decrease as well as in the atmosphere as in the ocean surfaces. Moreover the deep oceans are at 0-1 per mil, where most of the deep magma CO2 would dissolve. Let’s just say it was an enormous fall in sea levels. On reflection, sea levels have risen and fallen by massive amounts before humans even existed, just like CO2 levels. A preliminary theoretical estimate of the extent to which the ocean surface could have fallen with respect to the continents during the snowball Earth events of the Late Neoproterozoic is made by solving the Sea Level Equation for a spherically symmetric Maxwell Earth. For a 720 Ma (Sturtian) continental configuration, the ice sheet volume in a snowball state is ~750 m sea level equivalent, but ocean surface lowering (relative to the original surface) is ~525 m due to ocean floor rebounding. Because the land is depressed by ice sheets nonuniformly, the continental freeboard (which may be recorded in the sedimentary record) at the edge of the continents varies between 280 and 520 m. For the 570 Ma (Marinoan) continental configuration, ice volumes are ~1013 m in eustatic sea level equivalent in a “soft snowball” event and ~1047 m in a “hard snowball” event. For this more recent of the two major Neoproterozoic glaciations, the inferred freeboard generally ranges from 530 to 890 m with most probable values around 620 m. The thickness of the elastic lithosphere has more influence on the predicted freeboard values than does the viscosity of the mantle, but the influence is still small (~20 m). We therefore find that the expected continental freeboard during a snowball Earth event is broadly consistent with expectations (~500 m) based upon the inferences from Otavi Group sediments. For thousands of CO2 laboratory measurements taken before 1959, we MUST throw out all of the lab measurements showing very high and very low concentrations (in favor of on-site measurements from Mauna Loa) BECAUSE those lab measurements do not show a steady rise of CO2 due to man that is needed to create the CAGW cause-and-(predicted)-effects. But, for pH measurements in the ocean, we MUST now start in-sea measurements because only in-sea measurements MIGHT show the needed decrease in pH that is needed to to create the CO2 fears that the CAGW community needs to create their panic. That is an interesting widget. Thanks for posting it. Looks like you spent some time putting it together. Now, if we could convince you to operate within the confines of the Scientific Method, and Occam’s Razor, and the climate Null Hypothesis, I see no reason why you would not experience having the scales fall from your eyes. You would finally understand that everything being observed today can be fully and completely explained by natural variability, and that the “carbon” scare is a grant-fed scam. You’re about 70% of the way there. Keep trying — and stick with the Scientific Method! If a conjecture like ‘CO2=CAGW’ cannot withstand even mild scrutiny [which it cannot], then there is something wrong in IPCC-land. Sir, if you believe that warmer oceans threaten coccolithophorids, then kindly please explain why they reached their greatest abundance during the Late Cretaceous, when the seas were so much hotter than now & atmospheric CO2 so much higher in concentration. Their remains in chalk formations give the Cretaceous Period its name. Ermmm well as to calcium carbonate solubility (another factor here) I would point out that calcium carbonate is less soluble in warmer water. Hence in some of the warmest shallow seas – the Florida Keys we have oolites being formed. Sediment cores show that Cretaceous maximum tropical SSTs might briefly have been as warm as 42 degrees C, ie 17 degrees warmer than presently, & that they averaged around 37 degrees C. At the same time deep ocean temperatures were as much as 15 to 20 degrees C higher than today. Goldie, you will find this interesting….. When debating this subject with alarmists, they always direct me to the NASA climate change website which states the pH of the ocean, globally, has dropped to 8.1 from 8.2, or a ~30% increase in acidification (Their claim). I point out to the alarmists that that cannot be true, albeit accepted, because ocean pH levels vary greatly day to day, season to season etc etc as well as the fact there isn’t a reliable system to actually, reliably and accurately measure ocean pH levels on a global scale. Gladly. The issue isn’t overall temperature of the seas, but dissolution of carbon dioxide into the oceans directly. I’m a warming skeptic and recent data proves my belief that many other forcings are in play (thank you, Dr. Svensmark!). Warming has no bearing on my concerns. However, my training in toxicology gives me the insight that carbon dioxide is a very reactive molecule with proven toxicity at elevated levels….why we don’t let children play with plastic bags. The real problem isn’t deep in the oceans, nor even at the coral reef depth, but the very uppermost layer of the ocean (euphotic zone), where sunlight is able to penetrate and much of the globe’s photosynthesis occurs. True, in earlier periods of history, carbon dioxide concentrations in the atmosphere were higher; however, what concerns me is not the overall concentration of carbon dioxide, but rather, the rateof change. The life forms that utilize aragonite and other forms of calcium are demonstrated to be insensitive to rapidly changing environmental conditions, as are other indicator organisms such as rainbow trout (very sensitive to dissolved oxygen concentrations). Given a very gradual rise in atmospheric carbon dioxide, the organisms I’m concerned about (coccolithophores, pteropods etc.) would adapt; however, they are already demonstrating signs of stress as environmental conditions exceed their historic norms. They just can’t evolve as quickly as they must. Other stressors including persistent organic pollutants deposited from incineration of waste in the US, China etc. add further stress to the biota. Screw the polar bears, we can live without ’em just fine….if we turn off the bottom of the ocean’s food pyramid and the source of much of our oxygen, we’ll be in a fine kettle of fish. Just sayin’. True, in earlier periods of history, carbon dioxide concentrations in the atmosphere were higher; however, what concerns me is not the overall concentration of carbon dioxide, but rather, the rate of change. The life forms that utilize aragonite and other forms of calcium are demonstrated to be insensitive to rapidly changing environmental conditions, as are other indicator organisms such as rainbow trout (very sensitive to dissolved oxygen concentrations). Screw the polar bears, we can live without ‘em just fine….if we turn off the bottom of the ocean’s food pyramid and the source of much of our oxygen, we’ll be in a fine kettle of fish. Just sayin’. Please specify the signs of stress you suppose that organisms so different as coccolithophores & pteropods (by which I assume you mean sea butterflies) are already demonstrating. Please state what specific damage sea butterflies are currently suffering. I’ve seen “studies” finding negative effects when subjecting them to preposterous pH & carbonate levels supposed to occur by 2100, but the numbers are ridiculous. Also please show evidence to the effect that “life forms that utilize aragonite and other forms of calcium are demonstrated to be insensitive to rapidly changing environmental conditions”. I admit to not understanding this statement. If they’re insensitive, what’s the problem? Nautilus shells are aragonite & they survived the Cretaceous-Tertiary (K/T) mass extinction event. Ammonites survived the Big One, the Permian-Triassic mass extinction event, only to succumb to the K/T. Your mention of oxygen & rainbow trout & pollution not related to “climate change” in this context I find mystifyingly off topic. Thank you for making my point. The problem of oceanic acidification has nothing whatsoever to do with changing of the planet’s temperature in either direction. It is strictly a pollution issue. People try to tie climate change and acidification together, but they are separate phenomena. I happen to doubt climate change, but believe that acidification is real. Yes, children, substances like carbon dioxide can be pollutants in high enough concentration. As a former consultant to the world’s largest industrial gases company, I helped to spearhead the use of carbon dioxide as a replacement for sulfuric acid in wastewater treatment. It is fantastic and much safer for the workers; however, too much CO2 causes inhibition of the treatment organisms. Straightforward aquatic chemistry, one of the most basic examples of toxicity I can cite. I mentioned rainbow trout as these are commonly used organisms to test for toxicity or stressful conditions in fresh water…the “canary in the mine shaft” as it were. They are extremely sensitive to very small changes in dissolved oxygen levels, which is why they are found only in narrow environmental habitats, unlike common carp, who really don’t care as much (they gulp air at the surface, fun to watch). Other organisms used to test for aquatic toxicity include Ceriodaphnia dubia, common bluegill, and mayfly larvae. We are turning marine organisms such as coccolithophores and pteropods into indicator organism on a massive scale. You haven’t heard anyone else talk about the problem in this manner….the Hockey Team only wants to talk about temperature, period. Mankind has gone down this path before, and we don’t usually change our ways until the signs of toxicity from our emissions is profound. The technology to abate carbon dioxide emissions is approaching marketability, including conversion of CO2 into liquid fuels (very exciting). The stuff has economic value, soon nations will be fighting over it. Since acidification can’t be measured effectively, whence the presumption it is occurring? Truly “begs the question”. If you imagine that atmospheric CO2 at 400 ppmv is a toxic pollutant on Earth, you’re only going to provoke laughter here. I’m still waiting for you to provide evidence for present or probably future damage to marine algae or sea butterflies from CO2 levels. CO2 has been thousands of ppmv in the fairly recent geological past, with beneficial results. I still don’t get why you mention rainbow trout & salmon, the optimum environmental requirements for which I’m well acquainted. If you’re trying to sell CO2 as a toxic pollutant with deleterious environmental effects at any level under 1000 ppmv (actual greenhouse concentration), you’re going to have to provide some actual evidence. Not toxic in the atmosphere, but at the air/water interface of the ocean, where it forms carbonic acid and causes the most inhibition. Unfortunately, the media are too stupid to understand complex ecotoxicology, and Mann et. al. have hogged all the glory with scare-stories about Artic sea ice death spirals etc. Don’t forget, it’s additive….acidification combined with atmospheric deposition of complex organics from Chinese industry (primarily) drives the cycle towards toxicity. Go to school. The implicit claim that glass electrode pH meters are inadequate for measuring ocean pH appears to be rubbish. Such meters, so long as operated according to the acceptable parameters (proper buffers, temperature corrections) give generally a .02 pH unit accuracy. That’s more than accurate enough for measuring ocean pH. Such meters are already in wide-spread use in many industries that must adapt to high ionic strength waters. Perhaps the X prize sponsors can send me a check for pointing out to them that the very thing they seek is already in widespread and inexpensive use. I will also share with them the vast hidden trove of ocean pH data that has been omitted from the record to date: 80 years of ocean pH measurements, no less. See http://www.abeqas.com/mwApics/Wallace20thCenturyOcean_pH.pdf. Nothing in your link supports any of the ludicrous claims you’ve made. You, child, need to go to school & learn the basics of scientific inquiry. Global warming is increasing ocean temperatures and raising sea levels… [actually: no] New scientific research shows that our oceans are beginning to face yet another threat due to global warming-related emissions – their basic chemistry is changing because of the uptake of carbon dioxide released by human activities… Ocean acidification and climate change are both effects of excessive carbon dumping into the atmosphere… At present, ocean chemistry is changing at least 100 times more rapidly than it has changed during the 650,000 years preceding our industrial era… if current carbon dioxide emission trends continue, computer models show that the ocean will continue to undergo acidification, to an extent and at rates that have not occurred for tens of millions of years. That link should generate some grant loot, no? But it is simply scary nonsense: Oceans can easily buffer the relatively minuscule changes in atmospheric CO2. It should also be pointed out that since there are almost no error bars presented, the charts are obviously model-based — as the authors even admit. There is one exception, which does have error bars. However, the text there says: The trend of historic ocean pH is flat, if not slightly weighted towards alkalinization. You do understand what “flat” means, don’t you? Do you understand that the weighting shows a trend toward alkanization, rather than acidification? It means that there has been no ‘acidification’. Thus, your belief in ocean acidification is debunked by your own link. Links like the one posted might fly — at your typical anti-science alarmist blogs. But not here at the internet’s “Best Science” site, where scare stories like that stand out like a Kenyan in the middle of Red China. Neither you, nor anyone else, knows nearly enough about the subject to make a serious determination at this point. We have very little historical pH records from the various oceans, and what we do have is sparse. The claim is made that oceans are warming — which would result in the outgasing of CO2, thereby moving the pH away from ‘acidification’. How do you explain that contradiction? Has Henry’s Law been repealed? Really, you can’t even get your stories straight. No wonder the alarmist crowd has already lost the debate. You don’t operate on facts, science, or measurements; you base your alarmism entirely on emotion. You know it’s politics and not science when “acidification” is used to describe something slightly less alkaline. All raw data without any filtering out of outliers. Only the historical measurements taken over the oceans, deserts and coastal with wind from the seaside have some value, just like that is the case today. These historical data are around what the ice cores show for the same average gas age. The extent and duration of “snowball Earth” and what CO2 had to do with it is still uncertain, and I notice this was published last month so thanks for pointing it out. Ferdinand, my friend, they do that all the time. Fortunately, the change of total carbon (CO2 + bicarbonates + carbonates) in the surface layer is only 10% of the change in the atmosphere. Thus the 30% increase over the past 160 years only gives a 3% increase of total inorganic carbon in the ocean surface, mainly as bicarbonate, which is the bulk of the carbon. CO2/H2CO3 is less than 1% in the ocean surface. The smaller uptake is a matter of pH change, which changes the equilibria towards free CO2 (that is the Revelle factor). I doubt that that will have much impact: the buildup of the coccoliths shell is from bicarbonate which has increased a little in concentration with the CO2 increase. The pH theoretically changed with about 0.1 unit over these 160 years, but as milodonharlani showed in a previous message, coccoliths easely adapt to future conditions with 800 generations over the next decades. Seems that their genes still contain the information from the Cretaceous with much higher CO2 and temperature levels. I don’t know about you however, I see this all the time. Alarmist posts are made with links to alarmist and fairly misleading articles. It seems to me, and you clearly demonstrate, some people simple don’t seem to read the article in full, or if they do, they simply don’t understand what they are reading. I guess everyone can make a mistake. The results are expressed in per mil. Lower values means a lower 13C/12C ratio of the sample. The recycling of the same old debunked alarmist lies produced by an official UN Institution that claims it only brings the “Gold Standard in Scientific Climate Research” is not only an insult to our intelligence. It completely destroys the trust people have, not only in her political bodies, the integrity of her officials and her objectives but also in the trust of the establishment associated with the UN. This also affects the man and women participating in UN peace, security and rescue missions wearing the UN uniform. This really is a very serious subject as the UN claims to be a leading entity in matters beyond world politics, war and peace. The UN, all her related institutions and NGO’s must realize that they receive most of their funding through the tax contributions and donations from the very people they deceive so cowardly. we have arrived at a point in time where the UN performance on so many fields has become such a great disappointment that there will be grave consequences if no fundamental change takes place. Already we hear public voices making calls to defund the UN and remove her offices from US soil and these voices have become louder and louder. After watching yet another Pauchari dog and pony show people are not only bored. They are fed up with the UN and the entire establishment. Who is happiest when the UN is in town? Science really is in a terrible state. I think they should put up a prize for an “Ether Detector”. A while ago there was an overwhelming consensus that light travelled in a medium called the Ether. We never actually found it, so we need a detector for that. as are other indicator organisms such as rainbow trout (very sensitive to dissolved oxygen concentrations). Hmm. Rainbow trout are thriving in my little border stream. If they have an issue, it’s competition from the introduced bluegills (Lepomis macrochirus). The bluegills are native to nearby rivers/creeks/ponds, but I don’t think originally in tiny, cold, mountain streams like mine. To add, both the bluegills & trout are surprisingly easy to “train”. With little time, I was able to get them to eat crushed catfood out of my hand, first underwater, then jumping out of the water to my hand 6 inches or more above the water. They really like chicken skin or beef/ham fat. You are a lucky fellow! No, bluegills don’t like water as cold as trout, but they are very sensitive to low oxygen levels & presence of toxicants. Being members of the black bass family, they are hardier than trout. My point is that we ecotoxicologists monitor these organisms in the field and lab to measure biological stressors. China (and lately India) are going nuts, incinerating tons of plastics and other wastes with no scrubbers or other air pollution equipment. VOCs, metals, particulates of all kinds are pouring into the air. Put all this junk into the oceans along with elevated carbon dioxide levels, and the euphotic zone biota become stressed. Undergrad Ecology 101. The oceans can only become acidic if the earth runs out of rocks. The oceans are a buffer solution – more CO2 increases the amount of soluble Calcium bicarbonate (alkaline) made by carbonic acid reacting with insoluble limestone, Calcium carbonate. Again, I am not concerned with the vast volume of the world’s oceans, but only the shallow euphotic zone which overlays the waters. There isn’t much limestone bobbing around in the euphotic zone, last time I looked. How did Bill Connely let that slip by ??? Wiki’s right. Count the charges in your reaction (equivalents). TA change is effectively change of charge balance (of reacting species). CO2 brings no charge. Had you ever actually studied ocean chemistry, you’d know that many elements, compounds & processes buffer the euphotic zone & serve to transfer CO2 from it to lower depths, to include P & the simple detritus of organic origin. There are so many papers on this topic that I leave it to you to find them. My advice would be to study the topic before commenting upon it. You’re welcome. And you were wrong both times! Neutralization is the act of changing pH to exactly 7 at T=25ºC. Thereby indicating that you don’t know what alkalinity is, hint it is not the same as basicity! pH changes when CO2 is added to seawater, alkalinity does not. 2. Henry’s Law states that warming oceans will outgas CO2, thus making oceans less acidic. 3. This glaring contradiction is glossed over by the alarmist cult, which, having been proved wrong in every prediction they ever made, has now decided that the oceans are both warming and acidifying. So far, their batting average remains at 0.000. As near as I can tell, CACA spewers claim that CO2 may be outgassing from lower depths, but man-made gas in the air is mixing with the higher layers, producing “acidification”, by which I take them to mean “neutralizing”, ie causing slightly less alkaline surface concentrations (which sounds like a good thing to me). They should know about outgassing! Surely you mean, more alkaline 🙂 But yes it does. If you pour petrol over an object and light it, combustion-forced evaporation of the petrol will cool the object. So the body is both warming and cooling. If you add CO2 to the air, it forces CO2 into the ocean directly (Henry’s Law). It also causes warming, which as a secondary effect causes outgassing. The question is whether that counters the primary absorption. Since there is zero empirical, measurable scientific evidence that global warming is hiding undetected in the lower depths of the oceans, they claim that based on the “Say Anything” tactic of avoiding the Scientific Method, that the oceans must be ‘acidifying’ due to the addition of a tiny trace gas to the atmosphere. As if. Post testable, reproducible evidence right here… or Say Anything. That’s the sad choice for alarmists. OK then, suppose that CO2 is outgassed from sea water instead of being added. According to Phil., his “Say Anything” response implies that only pH changes — never alkalinity! Of course, that is absurd. But rather than admit that there is no testable, verifiable evidence from the planet’s oceans showing that the rise in human-emitted CO2 is causing a measurable change in pH directly attributable to our emissions, Phil. decides to “Say Anything”, in the hope that a few heads will start noddig along with his. That doesn’t happen here at the internet’s “Best Science” site. Phil. can’t put up — so he ‘says anything’. That’s pseudo-science. That’s Phil. Take an aspirin and lie down. A cold compress would help, too. No it doesn’t, how do you explain the annual rise in CO2 without a concomitant increase in SST? According to the solubility of CO2 in seawater, an increase of 1°C will increase the pressure of CO2 in the water layer with ~16 µatm in equilibrium with the atmosphere. Thus an increase of 16 16 µatm (~16 ppmv) in the atmosphere will bring the dynamic exchanges back into equilibrium. But we see an increase of 100+ ppmv over the past 160 years (70+ since 1960). Thus, per Henry’s law, the flux is from the atmosphere into the oceans, causing some less alkalinity in the surface layer of the oceans. 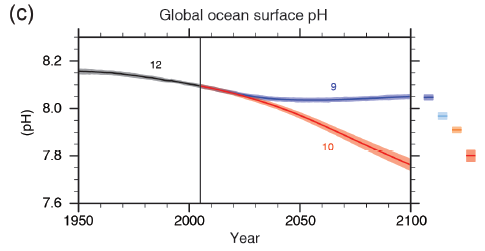 Another observation also indicates that: if the temperature increases (or the pH is lowered by some other factor, like undersea volcanic SO2 releases) and CO2 is released from the oceans, then the total inorganic carbon (DIC) would decrease by an increasing pH (temperature) or a decreasing pH (volcanoes). If the net CO2 flux is reverse, then DIC will increase (with a decreasing pH). … If the net CO2 flux is reverse, then DIC will increase (with a decreasing pH). With all due respect, I think you are slightly mistaken. The regular research ship measurements are of pCO2, not DIC (see Takahashi et al. 2009) as stated in my comment on September 25, 2013 at 2:46 pm. Repeat hydrography has been used to document a decadal increase in the inventory of DIC in the Pacific (8); however, the technique has not yet been applied to the detection of pH changes. Reference (8) is Sabine, C. L., R. A. Feely, F. J. Millero, A. G. Dickson, C. Langdon, S. Mecking, and D. Greeley (2008), Decadal changes in Pacific carbon, J. Geophys. Res., 113, C07021, doi:10.1029/2007JC004577. So, it would appear that “time-series” pH records only exist at 4 locations and none from ocean cruises. For once you’ve made an accurate statement, reduction of CO2 changes pH but not alkalinity. Your problem is that you don’t know what alkalinity is, you should take my earlier advice and find out. Scientists use precise language and definitions, if you want to participate in scientific discussions you should learn it and use it correctly. Thank you for your explanation, you are much better educated than I am regarding chemistry [I worked in a Metrology lab for 30 years]. However, the point remains that if the world’s oceans are warming as claimed, then there can only be less CO2 contained in them than if they were cooler. Just as a warming Coke outgases CO2, so a warming ocean outgases CO2. Therefore, either the climate alarmist crowd is wrong about the planet’s oceans warming, or they are wrong about their so-called “acidification” scare. They cannot have it both ways. My apologies. I don’t think we are in disagreement. I believe my comment was accurate but perhaps poorly phrased, as the regular research ship measurements did not include DIC, with emphasis on regular. This study examines changes along two sections in the Pacific, one zonal section along 30°N and one meridional section along ~152°W. The data for the zonal section along 30°N (P02) is located here instead. There does not appear to be any global coverage in the available DIC data according to Sabine et al. 2008 and Dore et al. 2009. The CACA spewers can, will & do say anything. They’ve plumbed new depths of anti-scientific dizziness however with the latest lame excuse for GIGO model failure, ie “missing heat is hiding in the deep oceans”, where it would be undetectable. I’ve decided that Trenberth really is a genius, at deception. Apparently you are as confused about who is posting here (Phil. and Phil) as you are about Henry’s Law. By virtue of the reference to SST it is ‘Phil.’ you are referring to not ‘Phil’, what I posted has nothing to do with my beliefs, about which you know nothing, but about accurate representation of the science. The position I hold has no requirement regarding the ‘anti-”carbon” crowd’, your implication otherwise is a complete fabrication on your part (par for the course I’m afraid). Here again you show your complete misunderstanding of Henry’s Law, which states that at constant temperature the pCO2 in the atmosphere is in equilibrium with the dissolved CO2 in the ocean. The constant of proportionality is termed the Henry’s Law coefficient as described by Ferdinand. Increase the pCO2 in the atmosphere and [CO2] in the ocean will increase. The coefficient has a small dependence on pressure as Ferdinand noted so if the pCO2 is maintained constant and the temperature is increased then some outgassing will occur. However that is not the case in our atmosphere since the pCO2 is increasing faster than the ocean temperature so [CO2] is increasing and outgassing is not taking place. In the last decade the pCO2 has increased by more than 16 µatm which would imply an increase in SST of ~1ºC if it were due to outgassing, clearly this has not happened. Incidentally the surface is where the Henry’s Law equilibrium occurs so SST is the appropriate temperature. Regarding the Coke can analogy I’m afraid you have that wrong too! A closed can of Coke has a pCO2 above the surface of about 3 atm compared with the atmospheric pCO2 of about 400 µatm, consequently when you open a can of Coke the rapid outgassing is due to the vast change in pCO2 above the surface, not the temperature which has a smaller second order effect. As shown above a proper understanding of Henry’s Law shows this statement to be incorrect, the Ocean’s temperature and pCO2 can increase together. I wasn’t talking to you, I was responding to “Phil”, without the period. …oh, you don’t believe that? Well, you’re right, I was commenting about you, and you knew it, too. So did everyone else. But you were looking for a nitpicking way to claim I’m “confused”. Being part of the .edu establishment, you cannot take a true scientific skeptic’s position on human-caused global warming without jeopardizing your position. That’s just the way it is. You want that next promotion or expense-paid trip to Bali? You are less likely to get those goodies if you admit the truth: that there is no testable, measurable, falsifiable scientific evidence proving that global warming is anything beyond natural variability. Those who hold the cookie jar have used it very effectively to stifle contrary views like that. That is why so many scientists wait until they have retired before speaking their minds. I don’t blame them, either. The blame is entirely on the ruling alarmist clique, which has made the past century and a half of extremely mild global temperatures into a politically charged pseudo-scientific issue. They have two things in common: they all ignore the Scientific Method, and they censor dissenting opinions. Despicable. So if you claim you can be a true skeptic in .edu without any repercussions, I doubt if anyone will believe you. Absolute rubbish, you don’t have a clue what you’re talking about! As an example such skepticism did my colleague, Will Happer, no harm at all. I notice that as usual you make absolutely no attempt to address the science on which you are so woefully wrong. If science depended on assertions, you would win the argument. …but you are no Will Happer. where (k is in cm/hr), U10 is wind speed at 10m above sea surface, and Sc is the Schmidt number [ = (kinematic viscosity of water)/(diffusion coefficient of CO2 in water)]. The value for a scaling factor, Γ, is evaluated according to the following procedures. Wanninkhof (1992) … estimated the scaling factor, Γ, (to be) 0.39 based on a mean global wind speed of 7.4 m/sec, and a mean gas invasion rate of 21 cm/hr… derived from a simple box model to fit the global ocean bomb Carbon-14 inventory (in 1975) of (about 672 kg) that was estimated by Broecker et al. (1985). (Takahashi et al., 2002 used 0.39 as the value for Γ). … Sweeney et al. (2007) … obtained a Γ value of 0.27 … using (a mean global wind speed of 6.89 m/sec) and the (corrected) ocean bomb Carbon-14 inventory of (about 523 kg as of 1975). … For this study, a Γ value of 0.26 has been computed using … a mean (wind) speed … of 8.06 m/sec …. Sweeney,C., Gloor,E., Jacobson,A.R., Key,R.M., McKinley,G., Sarmiento,J.L., Wanninkhof,R., 2007. Constraining global air–sea gas exchange for CO2 with recent bomb 14C measurements. Glob. Biogeochem. Cycles 21,GB2015. k is proportional to Un at a given temperature and salinity. k is proportional to U^n at a given temperature and salinity. But I’m not talking about the flux, I’m talking about the equilibrium concentration which depends on the Henry’s Law coefficient which is temperature dependent. Actually it depends on the facts which are all on my side, you just have sly comments and run away from the science. He’s also a member of the ‘.edu establishment’ as you put it. I understood your comments. They are broadly in line with what I was taught also. In general, your arguments seem to be logical and well grounded, but that is not how Climate Science is calculating how much CO2 dissolves or not in the oceans. My comment was meant to be tongue-in-cheek and I apologize for any misunderstanding. If I understood Takahashi et al. 2009 correctly, the alpha parameter would be related to Henry’s Law and Takahashi et al. clearly state that it is temperature dependent. The Schmidt number would seem to be the dynamic component. Apparently, equilibrium is never reached and the whole process is modeled dynamically. Takahashi et al. claim that certain areas of the ocean function as CO2 sinks during some months of the year and as CO2 sources during the other months. So CO2 is apparently constantly going into and coming out of solution. In short, the IPCC is basing its assessment of dissolution of anthropogenic CO2 on Takahashi et al. 2009 and Gruber et al. 2009. So my reference to Takahashi et al.’s methodology is on point. The claim that Takahashi et al. 2009 is “independent” from Gruber et al. 2009 is not completely supportable, but that is a discussion for another time. Cheers. I would have agreed if you had said the flux the equilibrium concentration IS AFFECTED BY the Henry’s Law coefficient. The sea surface zone is saturated by biota and it is not known how they respond to variables; e.g. temperature, nutrients, pH, etc,. But biota affect the CO2 concentration in the layer. Also, that concentration varies with pH which may be affected by variations in sulphate ion concentration that act independently of the carbonate buffer. Please note that submarine volcanoes will add a completely unknown amount of sulphate to the oceans and, thus, the sulphur cycle. Indeed, alteration of surface layer pH by sulphate from submarine volcanism may have changed the CO2 equilibrium with the air to have induced ALL the increase in atmospheric CO2 observed at e.g. Mauna Loa (I think this is unlikely, but it would explain the peak in atmospheric CO2 concentration around 1940 observed in the measurements collated by Beck). So many assumptions and so little information, but that is the state of carbon cycle science. Sigh. This sentence does not make sense, I assume there is a typo? The sea surface zone is saturated by biota and it is not known how they respond to variables; e.g. temperature, nutrients, pH, etc,. But biota affect the CO2 concentration in the layer. But if they do so the balance is restored from the atmosphere via Henry’s Law. Also, that concentration varies with pH which may be affected by variations in sulphate ion concentration that act independently of the carbonate buffer. Please note that submarine volcanoes will add a completely unknown amount of sulphate to the oceans and, thus, the sulphur cycle. Indeed, alteration of surface layer pH by sulphate from submarine volcanism may have changed the CO2 equilibrium with the air to have induced ALL the increase in atmospheric CO2 observed at e.g. Mauna Loa (I think this is unlikely, but it would explain the peak in atmospheric CO2 concentration around 1940 observed in the measurements collated by Beck). Well this one is one at least that can be dismissed. Yeah, why don’t Al Gore, The Hockey Team, Pachuri etc. even talking about acidification? They brush it off as “global warming’s evil twin” and focus on drowning polar bears, fictional hurricanes etc. Oh dear. One observation of one volcano indicates that volcanos don’t emit sulphate! The region of ocean into which lava from Kiluea flows turns yellow with the sulphurous acids. You get acid burns from touching it. Do I believe your one report applies to all volcanos or do I believe my own eyes? Then you talk about a black smoker and assume the observation of that indicates submarine volcanism does not provide sulphate. Frankly, that strains credibility. Even if it were true of all hydrothermal vents then it would not be true of all submarine volcanism. And you avoid my point that the surface layer is saturated with biota which emit sulphur (admittedly mostly insoluble DMS). The remainder of your post is similar. I did no such thing. When I quote someone, I cut and paste their words. I do that specifically to avoid any confusion, or accusations of ‘mis-quoting’. Also, I do not recall seeing your name in this thread, so how could I be misquoting you? You wouldn’t be engaging in sockpuppetry, would you? The rules are: one commentator, one screen identity. If you are posting under multiple identities, then it is no wonder you are confused about who is quoting whom. When you clear up that bit of confusion, then we can discuss your problem. I posted as Follow the Water.. an older name I’ve used in the past appears to have emerged and that wasn’t my doing. [WUWT rules: You are allowed one user_id or login. Use only one, stay consistent if you log in from different computers. Now, about your accusations of ‘misquoting’ and ‘misrepresenting’. How can I be doing either, when what I did was to cut and paste information found in your link — verbatim? That kind of discussion is done all the time, by just about everyone: a quote is highlighted, then answered. That’s all I did. What is wrong with that? I assumed that you knew what E.g. means! Yes you really do have a problem. Your post referred to submarine volcanoes, the last time I looked Kiluea stood 4000 ft above sea level. The discharge of gases directly into cold, frequently anoxic, seawater leads to precipitates of insoluble sulphates and sulfides, note that the Van Damm ref refers to the quantitatively removal of Mg++ and SO4–. Why not, the chemical composition of the seawater is the same, the solubility products of the various salts are the same? I didn’t talk about a ‘black smoker’ I referred to a cite on ‘hydrothermal vents’ in general. By your own admission, not sulphate! You also fail to address the point that Sulphate has been observed to be a conserved species in the ocean which completely undermines your thesis. Empirical [real world] evidence shows that the claims of ‘ocean acidification’ are bogus nonsense. In short, EVERY alarmist prediction has been WRONG. Phil. can argue sulphates all day long, but the basic premise he is unable to defend is his Belief that the global climate is acting in an unusual way, or that what is being observed is unprecedented. Neither of those Beliefs is true. They are a narrative of lies, promoted by people with a dishonest agenda. That agenda does not have any room for scientific veracity. It is false propaganda, flogged by people who have something to lose if they tell the truth. Identify the so-called “misquote”. Cut and paste it here, verbatim. If you are right, I will apologize. But I suspect you are mistaken. OK in which case you’ll be able to produce some of that evidence… ! So let’s see those documented claims and the evidence which refutes them. Phil. can argue sulphates all day long, but the basic premise he is unable to defend is his Belief that the global climate is acting in an unusual way, or that what is being observed is unprecedented. Neither of those Beliefs is true. There you are again claiming to know what I believe, nice job of changing the subject and ignoring the science. I must admit though that you did make me laugh preaching to snarkmania/Follow the Water about ‘sock puppetry’, that was amusing! Please do not be deterred from collating and analysing the data by the ilk of Phil.. If you are wrong then that will be determined at the peer review or post publication stages (I acknowledge the ‘gate keeper’ problem). Whether you are right or wrong the collation will provide useful reference. Phil. doesn’t understand, either, so I will explain. A ‘sockpuppet’ is someone who posts using multiple different screen names at the same time, in an effort to make it appear that a single commentator has the support of others [his ‘sockpuppets’], when in reality it is only one person posting as many. In the past I used a different identity, so as usual Phil. is grabbing onto any tiny nitpicking excuse to try and make a point. But as usual, Phil. is wrong, because I have never used multiple identities at the same time. I don’t need to, I have the facts, as confirmed by Planet Earth: AGW is so small that it cannot be reliably measured, so it can and should be completely disregarded. My screen name changeover happened a couple years ago, following to Anthony’s request that I use my real name, and I complied. Phil., of course, uses an anonymous screen name, thus qualifying him for the appelation of “anonymous coward”. In response to your claim that I misquoted you, if you will re-read the post you are referring to, you will see that I did not quote you [or your other identity] at all. I then cut and pasted a portion of the link you provided, thus quoting whoever wrote it. But I never quoted — or misquoted — you. I think it was just a misunderstanding, and I trust this will put the matter to rest. I too think it is a good idea to evaluate the historic record. It is indeed extensive. Wallace collects a lot of references, but I would read it with caution. I note a claim there that the Royal Society report stated a current pH of 8.2, which he seems to regard as part of a refutation of recent fall. and in Sec 2.62 it explicitly identifies 8.2 as the pre-industrial value. ‘It also causes warming’ Do you have documented evidence of this assertion? Yes. The AR5 WG1 has already been mentioned on this blog. Is this AR5 WG1 the documented evidence that they have 95% confidence in? Where is the experimental evidence demonstrating the rise in temperature (warming) from adding a quantity of CO2 to a parcel of air? Quite so, what made you think I was trying to deter him? You will find that peer review on this site is like that. If I was wrong, as I promised I would have apologized to you. But you can check the link for yourself. I try to be accurate at all times. On the rare occasions when I am wrong, I admit it. In this case, I’ve proven beyond any doubt that those verbatim quotes were taken from the link you posted. I trust that verifying my quotes in your source puts this matter to rest once and for all. We can still be friends, though, if you like. I encourage the endeavour. There’s a lot of data; you aren’t the first to look at it, but more can’t hurt. But a calm scientific, genuinely inquisitive spirit would help. 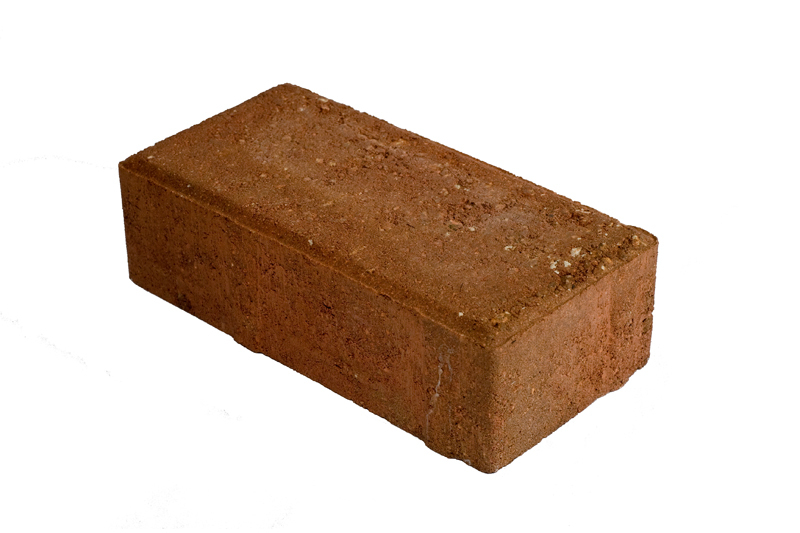 your every post in this thread. Then I don’t see the point of your remark (strange usage of ‘ilk’ by the way, did you mean ‘likes’). Especially since I had actually asked for data rather than the handwaving offered up by stealey. was a quote from Richard’s post. I cannot imagine why you “await” it because I thought your post was too silly to answer. However, since you have pressed the matter I do reply to it here. And I now understand comments to me from Latitude on another thread and which I answered. Those replies bluntly refute your nonsense about biota not providing sulphate in the ocean surface layer. Also you assert that hydrothermal vents don’t emit sulphate so undersea lava flows cannot emit sulphate. Frankly, that assertion is plain daft. The lava contains sulphur compounds and it cools to solidify. Indeed, pillow lavas emit sulphate when the lava flows into the Pacific from Kiluea, and that is why Kiluea acidifies the ocean where the lava meets the sea; your statement that Kiluea being 4 km high somehow makes this different from lava flowing beneath the sea is also daft. Now perhaps you understand what I meant when I advised snarkmania not to be deterred from his work by people of your ilk. Closed minded bigots always use spurious assertions in attempt to shut down investigations of matters which don’t fit their beliefs. I only point this out because you have pressed me to do it. And perhaps you can now also understand why I chose not to answer your silly post until you pressed me for an answer. I swear I will tell your father when he gets home if you kids don’t stop fighting! You have your wish, since I can’t reply to Richard’s nonsense anymore. I see, referenced scientific facts are ‘too silly for you to answer’, I guess that shows who has the ‘closed mind’. Actually they don’t address it at all. I don’t assert that I provided links to scientific sources that show that. Clearly Kiluea is not a submarine volcano, your failure to understand that the same gases released into water at ~5ºC and over 100atms pressure will not behave the same chemically as when released into air at less than one atmosphere pressure, indicates your ignorance of chemistry! Like your spurious assertion of nonexistent variation of SO4 ion concentration to explain the change in pH rather than accept that it is caused by CO2 because that does not fit your belief? Yes it’s clear that you had no credible answer so would rather avoid doing so, as you have before! Sorry Pamela but I can’t let this nonsense go unrebutted. Could a simple experiment be done as a baseline to measure the rate of change of ph with a a gallon of seawater and air in an enclosed non reactive pail to limit evaporation and co2 at in the air above the water level maintained at 400 ppm and check the ph over a years time?